Directions Allow your daily moisturizer to absorb into your skin. 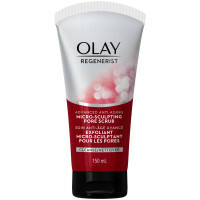 Dot a small amount of product onto wrinkle-prone areas around the eyes, mouth and on the forehead. Smooth the dots into a fine layer, spreading excess product onto other areas with surface imperfections. 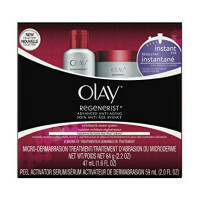 Experts at Olay recommend that this product is used after applying Olay Regenerist Daily Regenerating Serum. As with all facial skin care products, avoid getting into your eyes. If contact occurs, rinse with water. Uses The dual action process works in two ways: 1. Fill: Penetrates into the wrinkle surface to immediately reduce the appearance of wrinkle depth and length. 2. Seal: At the surface, it creates a micro-bonding network that seals in moisturizer to regenerate skin's appearance, and diminish the look of fine lines and wrinkles all day. 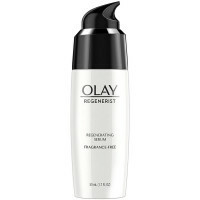 Olay Regenerist Filling + Sealing Wrinkle Treatment. 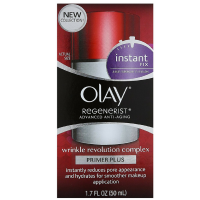 Fills inside crease and seals at the surface to diminish the look of fine lines and wrinkles. 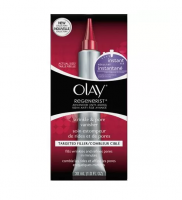 Precision delivery system targets key wrinkle-prone areas around the eyes, mouth and on the forehead.